The research described in this article is based on genomic resources developed in part through the MDI Biological Laboratory, which hosts the Fundulus Genomics Portal, an information hub for the killifish (Fundulus heteroclitus) genome project under the direction of Benjamin L. King, Ph.D., senior staff scientist. Two of the authors of the paper described in this article, John Kenneth Colbourne, Ph.D., and Joseph R. Shaw, Ph.D., are directors of a course in environmental genomics at the laboratory, along with King. The course, first offered in 2010, was the first in the world to offer practical training in environmental genomics or the study of how genetic function is influenced by manmade environmental stress at a population level. The killifish, which is known for its tolerance to extreme changes in its environment, is a powerful vertebrate model for the study of environmental change, including climate change and pollution. The Fundulus Genome Project is characterizing the killifish genome for purposes of studying interactions between genes and the environment, as well as phenotypic plasticity, or the ability of an organism to change its phenotype, or observable characteristics or traits, in response to environmental stressors. 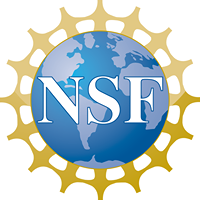 The portal serves as an international scientific resource to facilitate research and scientific collaboration for the National Science Foundation-funded project (DEB-1120512). The project is sequencing the killifish genome using DNA samples from two fish from Maine, including one from Northeast Creek, a tidal estuary near the MDI Biological Laboratory in Bar Harbor, Maine. The second fish was captured from Chewonki Campground in Wiscasset, Maine. Photo credit: Andrew Whitehead/UC Davis. Readers may also want to check out the New York Times article on this paper. Evolution is allowing some urban fish to survive in a lethal, human-altered environment, according to new results published in the journal Science. The killifish is up to 8,000 times more resistant to this level of pollution than other fish, scientists found. While the fish is not commercially valuable, it is an important food for other species and an indicator of environmental health. What makes Atlantic killifish so special? Extremely high levels of genetic variation, higher than any other vertebrate — humans included — measured so far. The more genetic diversity, the faster evolution works. That’s one reason insects and weeds can quickly adapt and evolve to resist pesticides, and pathogens can evolve quickly to resist drugs created to destroy them. The scientists sequenced complete genomes of nearly 400 Atlantic killifish from polluted and non-polluted sites at New Bedford Harbor in Massachusetts; Newark Bay in New Jersey; Connecticut’s Bridgeport area; and Virginia’s Elizabeth River. The sites have been polluted since the 1950s and 1960s by a complex mixture of industrial pollutants including dioxin, heavy metals, hydrocarbons and other chemicals. At the genetic level, the tolerant Atlantic killifish populations evolved in very similar ways. This adaptation suggests that these fish already carried the genetic variation before the sites were polluted, and that there may only be a few evolutionary solutions to pollution. The study lays the groundwork for future research that could explore which genes confer tolerance of specific chemicals. Such work could help better explain how genetic differences between humans and other species may contribute to differences in sensitivity to environmental chemicals. “If we know the kinds of genes that can confer sensitivity in another vertebrate animal like us, perhaps we can understand how humans, with their own mutations in these important genes, might react to these chemicals,” Whitehead said. The National Institute of Environmental Health Sciences also funded the research. The study’s co-authors are affiliated with the U.S. Department of Agriculture, Environmental Protection Agency, Washington University School of Medicine, University of Birmingham, Indiana University, Woods Hole Oceanographic Institution, and University of Miami.